Joya de Nicaragua will be reissuing the Antaño Gran Reserva Presidente, which was last year's TAA-exclusive cigar. Joya de Nicaragua, the company behind one of Nicaragua’s oldest cigar brands, is bringing two special cigars to the upcoming Tobacconists’ Association of America convention. The first is a reissue of last year’s TAA-exclusive cigar, called Joya de Nicaragua Antaño Gran Reserva Presidente. The second is a new cigar called Selección de Torcedor 2019, a limited-edition smoke whose blend was chosen by the rollers at Joya de Nicaragua. Selección de Torcedor 2019 is a Nicaraguan puro rolled in a 6 inch by 52 ring gauge Toro format. According to Joya de Nicaragaua, the Selección de Torcedor is only rolled in small batches. Production numbers have not been disclosed, but the company says that the cigar is positioned to become a global product in limited quantities. 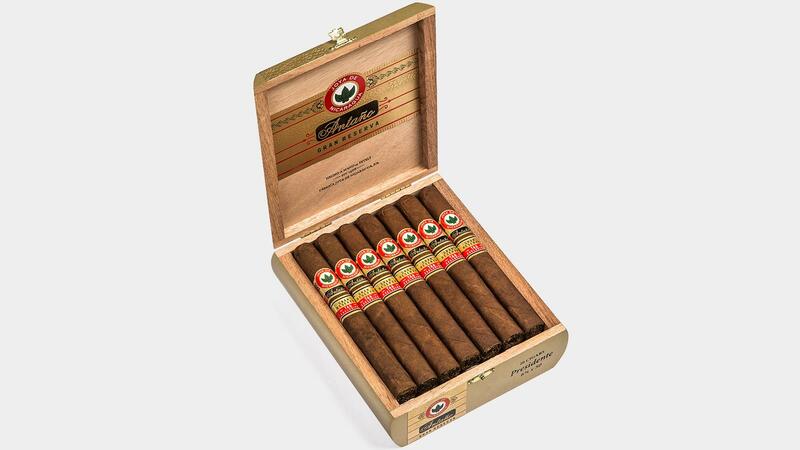 In order to receive Selección de Torcedor 2019, TAA retail members must first purchase the Joya de Nicaragua Antaño Gran Reserva Presidente. The Gran Reserva Presidente is a box-pressed, 6 3/4 inches by 50 ring gauge cigar that ships in 20-count boxes. It’s also made entirely with Nicaraguan tobacco and retails for $12.50 per cigar. The Selección de Torcedor 2019 carries no official MSRP, and it will ship to retailers with the idea that retailers can determine a price point of their own, or use it as a promotional item. Both the Antaño Gran Reserva Presidente and the Selección de Torcedor 2019 are rolled at the Joya de Nicaragua factory in Estelí, Nicaragua.